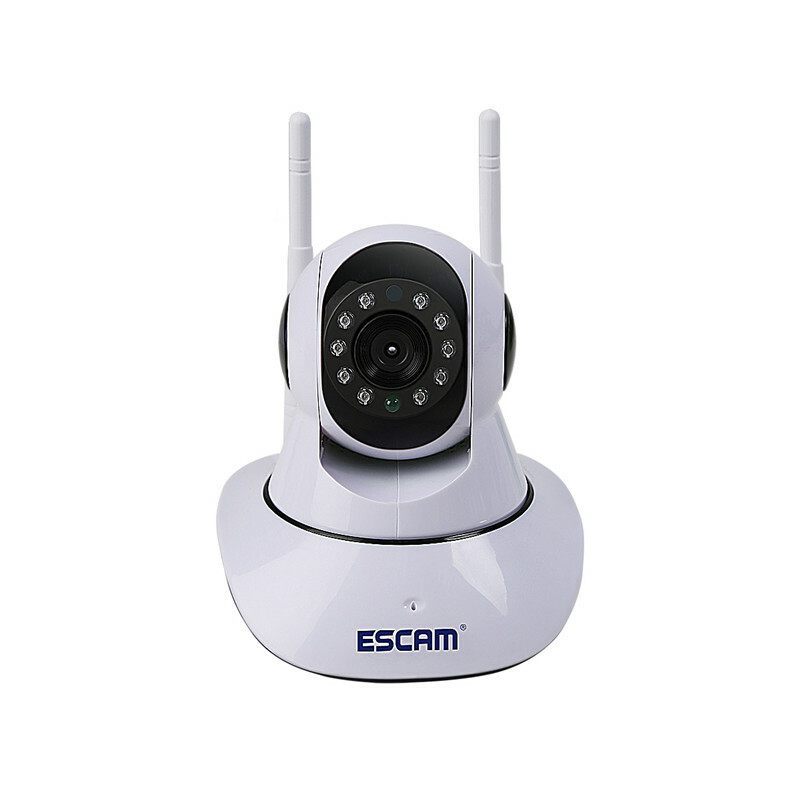 Successfully Added ESCAM G02 720P Pan/Tilt WiFi IP IR Camera - IR Cut, Two Way Talk, TF Card Slot, Dual Antenna to your Shopping Cart. High Definition image quality, resolution up to 1 Negaouxekm 1280x720. Pan 355 + Tilt 120, sliding screen manually enables remote control of the rotation of camera and real-time monitoring. Build in Microphone and high quality audio speaker, it can do two way talk online between camera and mobile phone. When motion objects detected, it will trigger Email alert. 10 pcs IR LEDs design, it can capture ultra clear night time image, max up to 8m IR Range. Build in TF card slot, support max up to 128GB TF card. Dual Antenna designed, WiFi connection is more stable and powerful. This indoor security camera comes with a 12 months warranty, brought to you by the leader in electronic devices as well as wholesale IP Cameras..